Package of 2 Strap End Clamps. Clamp width is 1.25". Back side of the clamp (shown in picture) has crimped spikes that face inward to ensure your project is secure when the clamp is closed. The front side of the clamp is a solid, smooth finish. 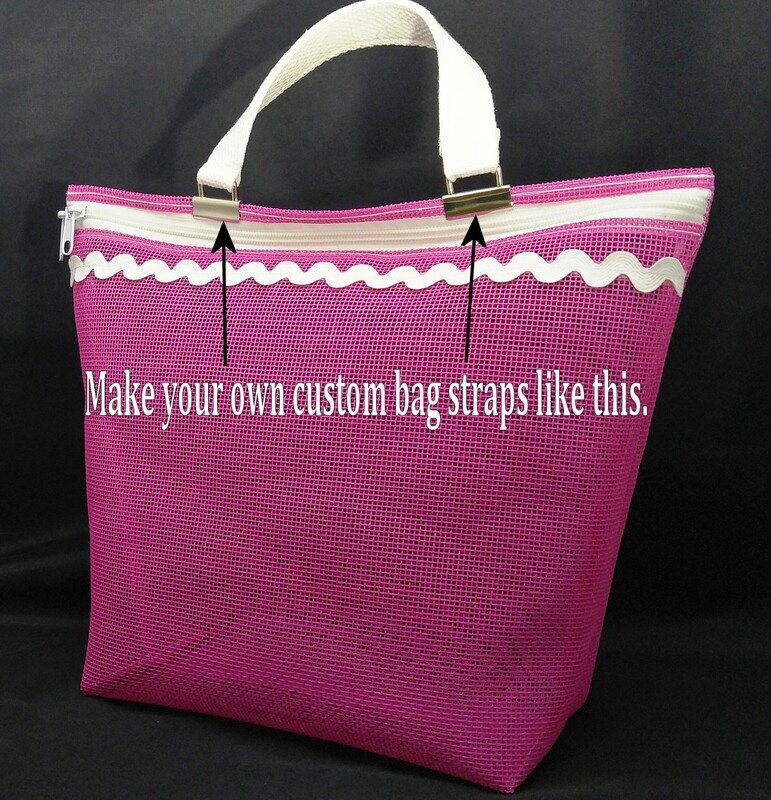 Make custom bag straps and other great projects with a professional finish. Use 7/8" to 1" webbing (cotton, poly or nylon) or make your own custom fabric strap. The 7/8" width is a perfect fit; the 1" width will curve very slightly around loop ends but still looks beautiful. 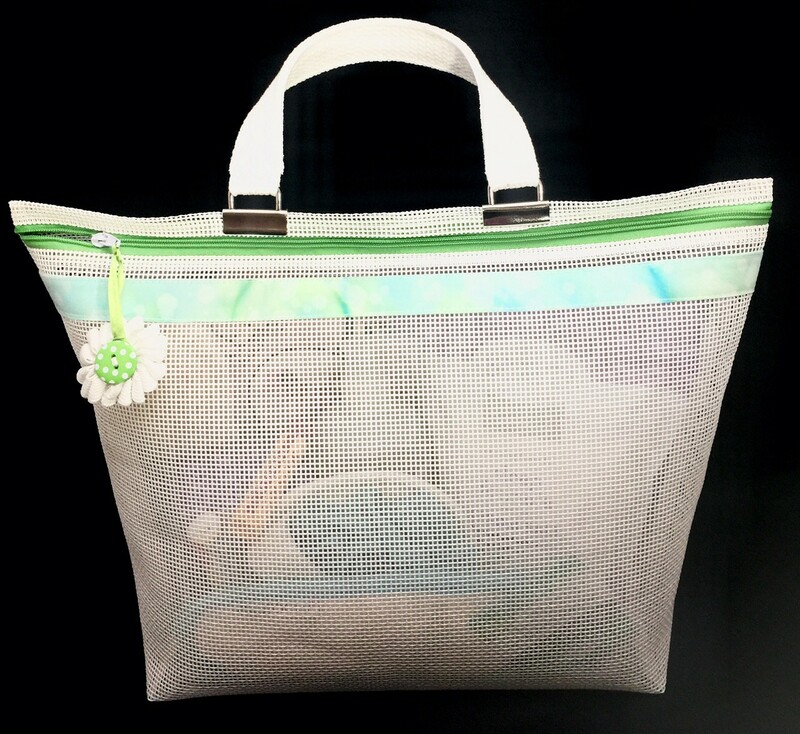 I used 1" width cotton webbing to make the Glamsy Spa Bag Strap (white bag with green zipper). For best results, always test your strap choice by sliding it through the loop BEFORE making the entire project. 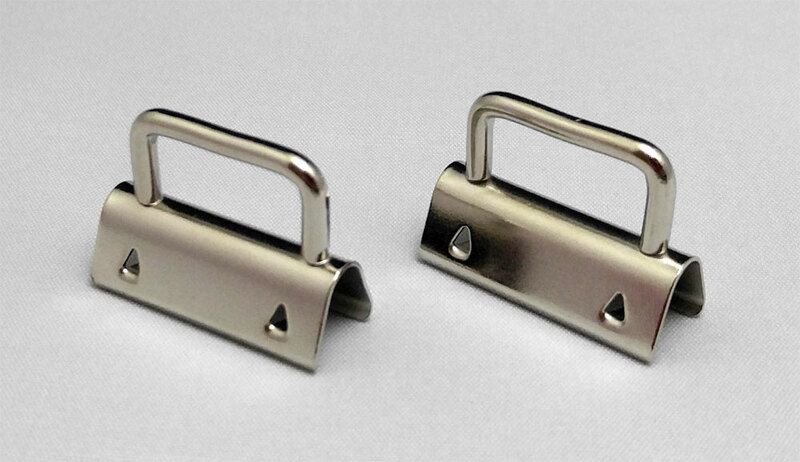 We strongly recommend using Rubber Tipped Hardware Pliers to attach your Strap End Clamps without scratching, dinging or damaging the clamp finish.